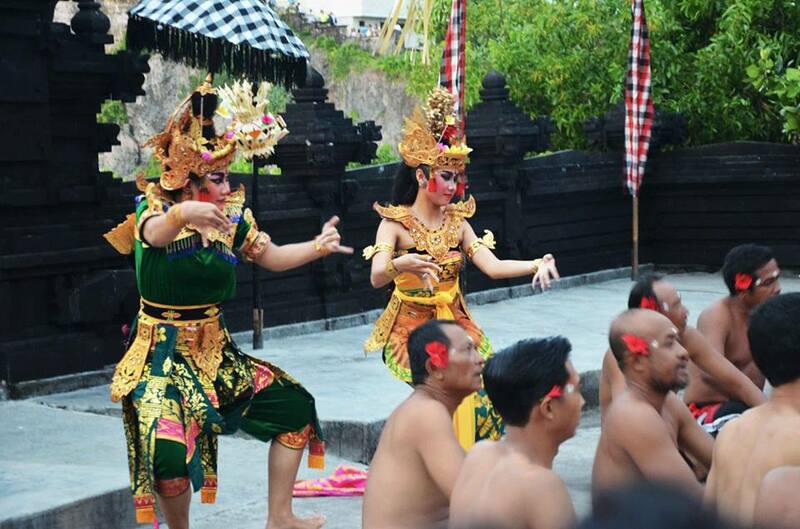 Bali – That exotic, spiritual and mystical place that evokes feelings of wellbeing as soon as you land there. It’s an island so diverse and versatile that there is something for everyone – If you are in for some fun in the sun, there’s always those gorgeous beaches (I’m sorry but from what I’ve seen, I still find our Sri Lankan beaches much more alluring) where you can surf, parasail and basically do anything that you can imagine in terms of water sports. Being islanders ourselves, we weren’t much keen on the watersport. We were there for the culture, and of course, the food. 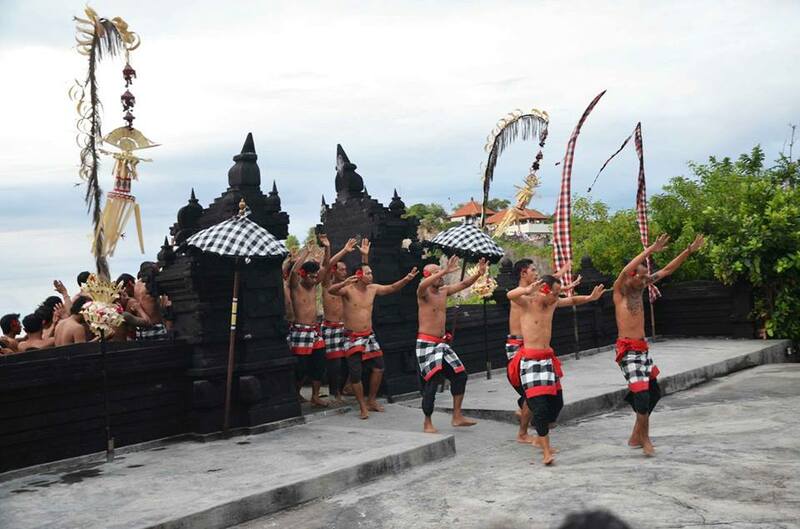 We had 2 days to do everything – the temples, the sightseeing and of course, Bali’s extensive food culture. Sad to say, we did not cover as much as we liked but for two days, it was quite enough. All that aside, let me get to the food. 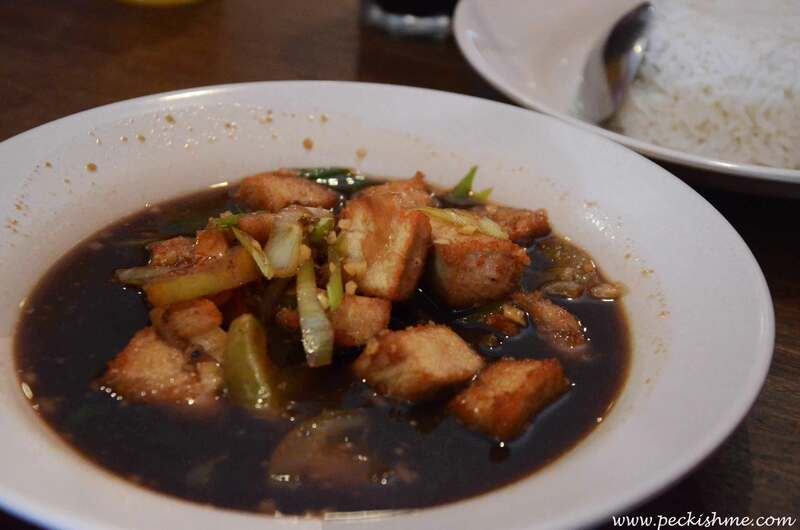 Considered as one of the most vibrant cuisines in the world, Indonesian cuisine had us thoroughly lost for choice. And two days just wasn’t enough for us to try it all, let alone penetrate into its vast and flavorful depths. But here is an account of what we did manage to try. 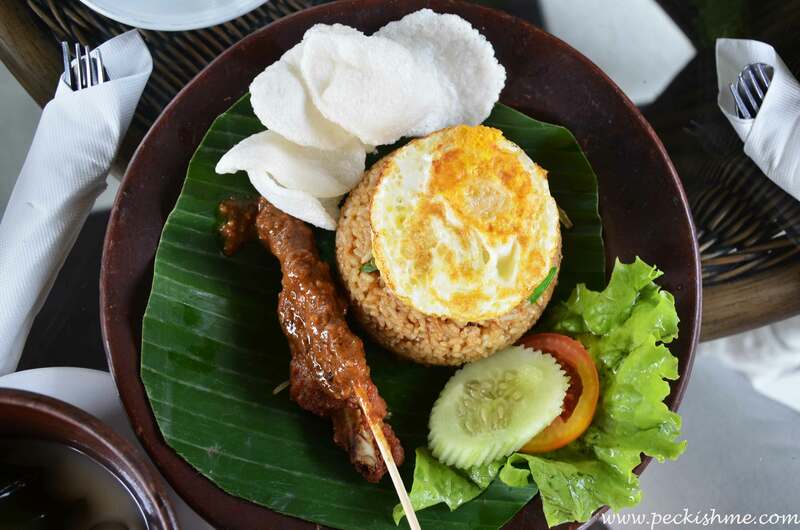 Influenced by Indian, Middle Eastern and Chinese cuisine, Indonesian cuisine comprises of rice, noodles, curried meats and vegetables for the most part. The use of spices such as cinnamon, cloves and nutmeg and even turmeric can be seen right throughout and coconut milk is also a common ingredient in their food. Our first meal in Indonesia was, ironically, at the Jakarta airport. Needless to say airport food is nothing to sing home about, but the lemper and the soto ayam we had were actually quite decent. We were tired from a 4 hour flight, the baggage clearing, the immigration and the works and also confused with the currency ( 1 USD was the equivalent of 13000 something IDR and we were rather disoriented having millions in hand for the first time in our lives). We also had 3 hours to kill for the next flight to take us to Bali so we just walked around and decided that we will just eat. We found this place where many locals seem to be eating and went to the counter where nobody really spoke any English. Thank God for the free wifi as we were able to Google the dishes and find out what they were about. So having pointed at a Soto Ayam and lempers we paid (rather handed a wad of cash and told the cashier to take what they want, because really, the zeros were confusing our jetlagged selves) and sat down to eat. We were too keen to dig into our lempers that we actually forgot to take a photo. I’ve had lempers before and I loved it every time so this wasn’t a first time experience for me. 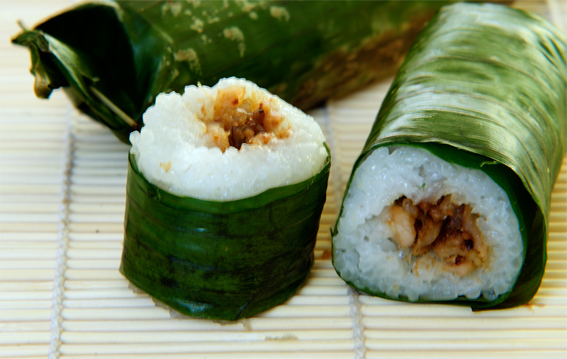 A lemper is basically a snack, with a filling of well seasoned shredded chicken enveloped in a roll of sticky, glutinous rice which is typically cooked in coconut milk (nowadays people just boil the rice in water) with a little bit of salt. The chicken has a strong hint of cumin and it is cooked in coconut milk, coriander as well as kafir lime leaves and therefore has a mildly piquant taste. 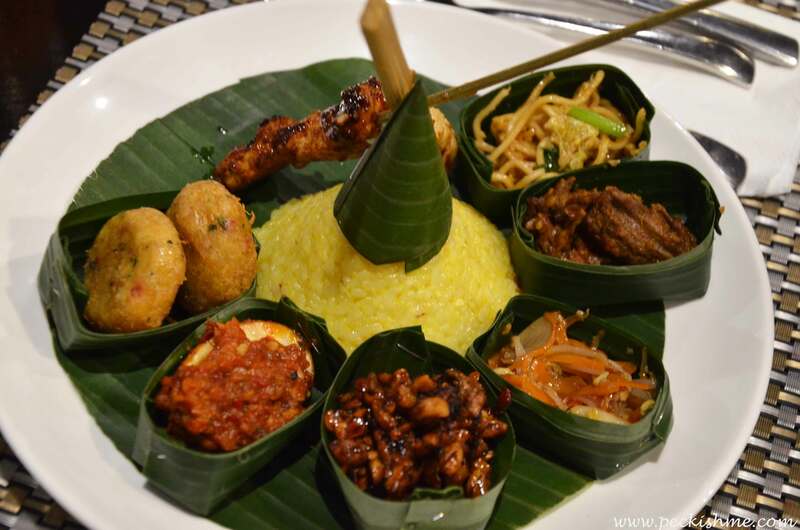 And it all comes wrapped in a seasoned banana leaf which lends the lemper its signature smokey aroma. It’s rather filling really, although one cannot find much chicken in it. However, I do like this roll better than our fish roll because this version seem healthier, what with it being steamed and all. Like a chicken sushi. Really it does feel like it sometimes. 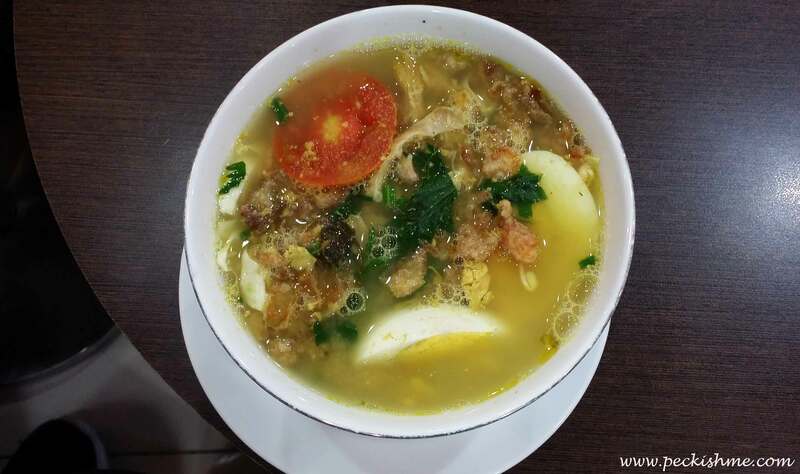 Soto Ayam is a yellow coloured chicken soup with chicken, noodles, bean sprouts, Chinese cabbage and various other veggies served also with a halved hardboiled egg. Served warm, this was a welcome respite both for myself and hubster who was a bit fluey. Turmeric is used to get the yellow color and although watery, due to the condiments in it, it was rather filling. It was a meal that we desperately needed, Indonesian chicken soup for the soul as it were. 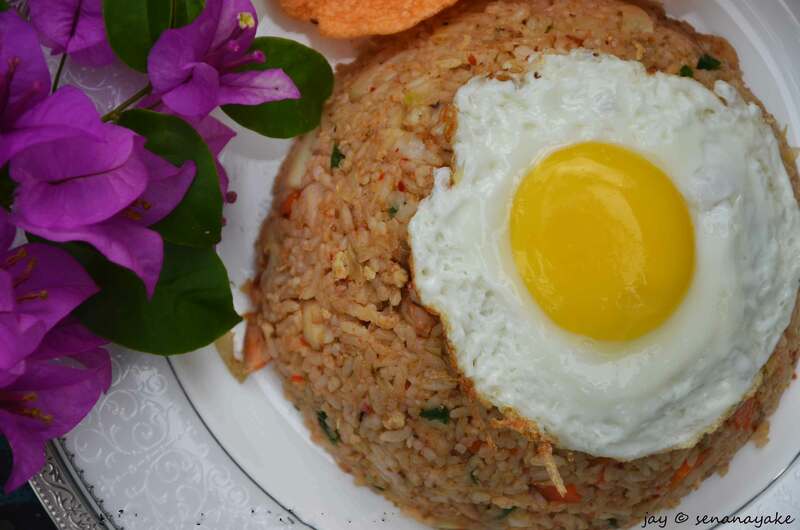 Although originally an Indonesian dish, the Nasi Goreng is also a firm people pleaser here in Sri Lanka. 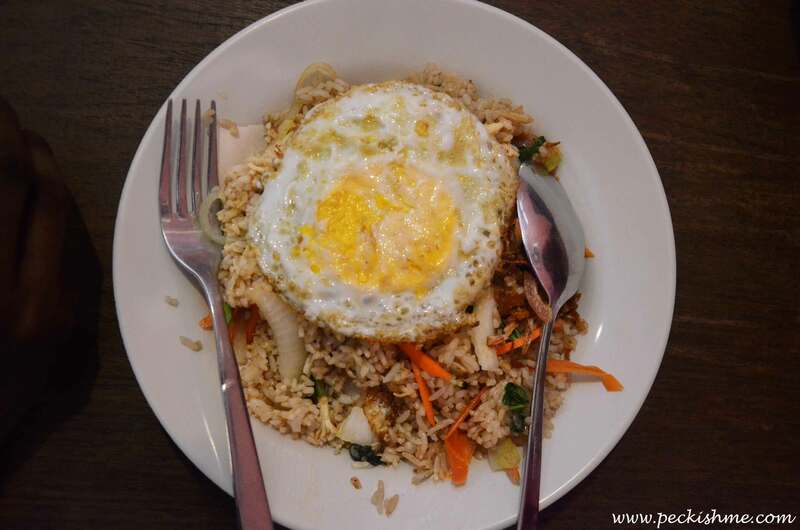 Yours truly is also an ardent admirer of this dish, having gone, together with the hubster, on endless hunts for the best Nasi Goreng we could find to immerse ourselves eyes deep in it. I even make it at home from time to time and it’s a darn good Nasi if I may say so myself (Find the recipe here). So it was inevitable that we try it at its birthplace. We tried two Nasis while we were there and both were not consistent. One simply had some fried rice topped with an egg, satay missing and the other was the complete deal with a mound of fried rice topped with an egg, chicken satay on peanut sauce and prawn crackers. You generally have a choice between chicken or vegetable nasi which are the most common options. We took chicken the both times and did not come across any seafood Nasi Goreng while we were there. The rice isn’t spicy, it is simply stir fried with what I assume is some sort of shrimp paste and in one, it wasn’t very flavourful at all. 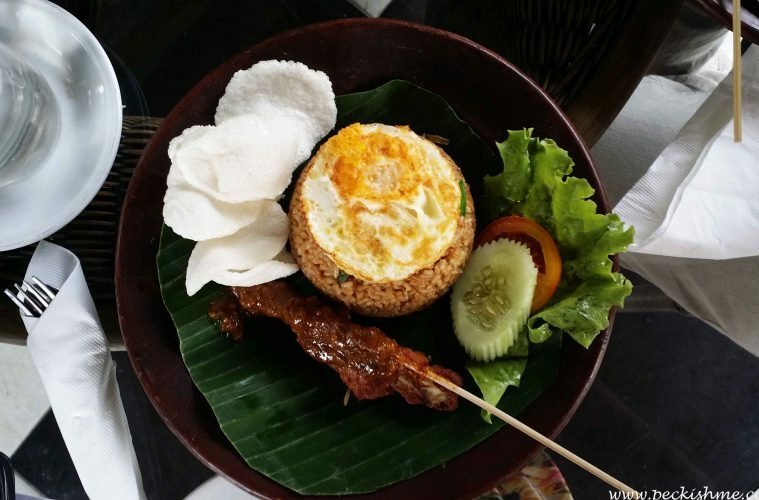 Unlike in Sri Lanka which makes the Nasi Goreng with a non sticky rice, the Nasi we came across were made with a sticky rice which made it sort of clumpy. The chicken satay were soft and flavourful with the peanut sauce being best part with its sweet, nutty, tangy taste. The soft egg yolk complements the flavorsome rice, further highlighting its various nuances. The prawn crackers are sometimes in presence, sometimes not. You really cannot depend on it. Do we recommend it? Absolutely. Everybody who we met kept telling us to try this dish so we did. Apparently a Balinese special, the crispy duck for me was just really deep fried duck. 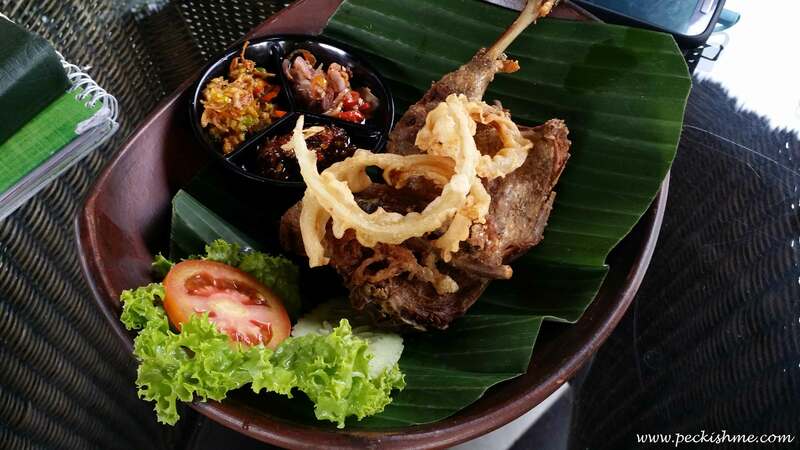 Served alongside two sambals of raw and fried onions and one with the signature chili sambal, the duck was topped off with a few onion rings and enhanced by the condiments that it was served with. But duck lovers, do go ahead and try this oil oozing crunchy thing. You need to pair it with the right amount of condiments to make it work. And also a word of warning, those seemingly innocent looking sides are actually very spicy. This for me, was the highlight of the trip. After a long day of sightseeing we decided to stop for lunch. We insisted to our designated driver for the day that we wanted Indonesian food at which he drove us through narrow alleyways, paddy fields and people’s backyards to this restaurant in the middle of nowhere – Sawah Indah. Set in the middle of a paddy field itself, the eating huts were on stilts on water. The staff were clad in traditional Indonesian garb and we thought to ourselves uh-oh a typical tourist trap. But I am happy to say that we may have been wrong. Although the staff spoke perfect English and whatnot, the prices were actually quite reasonable. Having ordered the mains (the duck and the Nasi mentioned above) we ventured onto desserts. Me being the curious one wanted to try this dish which mentioned a green grass jelly. Upon inquiry, one of the staff recommended it too so we thought we will order just one, to see. Ended up polishing off the first and ordering a second instead. Es Daluman is a sort of a cold, sweet soup, a dessert if you may, but we were served that before the meal. 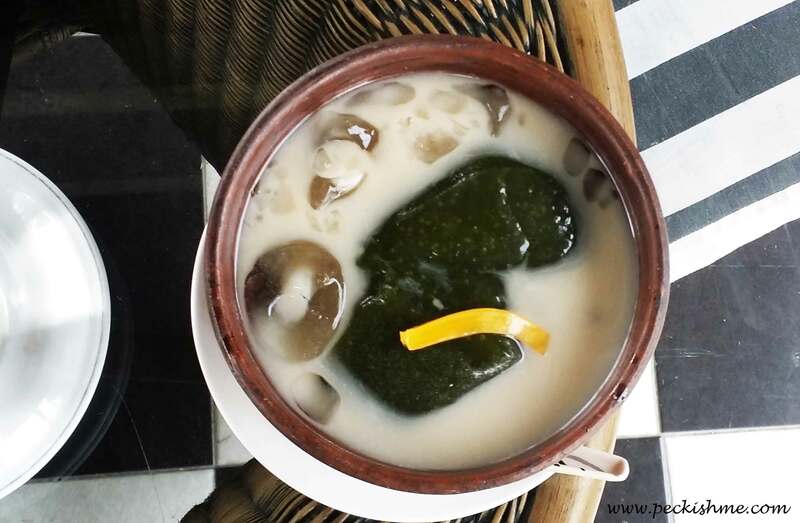 There is a large blob of green unsweetened jelly sitting in the middle of a sizable clay pot filled with a mixture of coconut milk, palm sugar and also, slices of ripe jackfruit. Whether it was the fact that we were too hot and tired or the fact that it was genuinely delicious, we were soon squabbling over who gets the last spoonful of the stuff. We were told that this is a dish typical to Bali and so it was. The jelly is made from the leaves of the plant Cyclea barbata miers and was thick and dense without an actual flavour. It was supposed to be very healthy and it even tasted healthy – and oh so refreshing. I’d travel to Bali all over again for a bowl of this yum stuff any day. We had this on the last day of our Bali visit for dinner. This is basically a cone shaped mound of yellow rice coloured with turmeric, surrounded by a number of little condiments. There were two little potato cakes, fried peanut concoction of sorts, half an egg slathered over with sambal, a vegetable pickle, satay, soba noodles and beef randang. Originally from Java, the Tumpeng is a celebratory dish eaten traditionally during Slamatan ceremonies which are held to commemorate any important event – be it a birth, marriage, moving house and etc. At the time we were eating it, we were not aware of the fact that it was a culinary icon of Indonesia and it was later on that we got to know that it was declared as the National Dish of the country that celebrates Indonesia’s diversity in 2014. It is believed that the dish was created to celebrate the geographical nature of Indonesia, as Java is a land full of mountains and mountains of course, are revered from the ancient times by the Indonesians as the abode of hyangs, the spirit of ancestors and gods. The mound of rice represents the mountain while the little condiments that surround it are considered as a feast of offering for the Gods in thanksgiving for their generosity. In essence, it is a dish that denotes gratitude. During Slamatan after the prayers, the top of the Tumpeng is cut and given to the most important person present at the occasion. It is after that the dish is enjoyed by everyone together. Pork simmered in a sweet soy sauce laced with tamarind, ginger, chili and various other spices and served with rice is basically what Babi Ketjap is. Although simple in ingredient and flavour, I think this is a rather remarkable dish as it truly celebrates the hero of the dish – the pork. Beautifully moist and practically melt in the mouth, each bite was full of flavor and was the perfect accompaniment to the rice. 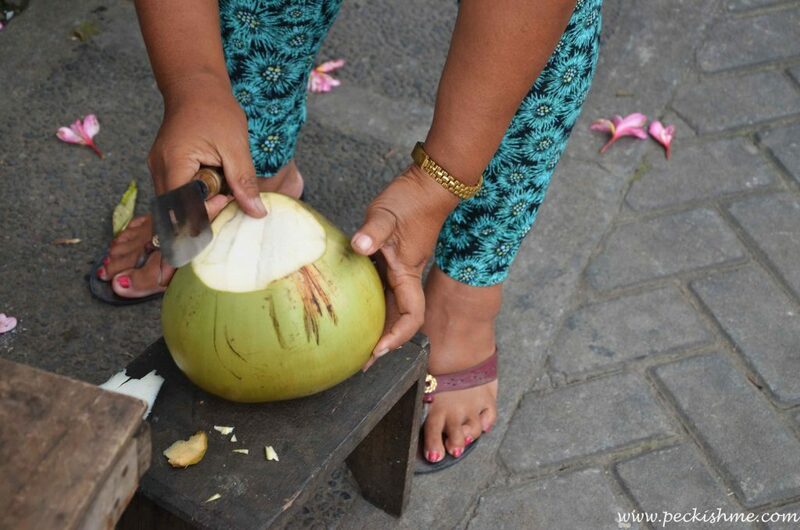 This we found to be common to both Sri Lanka and Bali as being islands, coconuts grow in plenty. 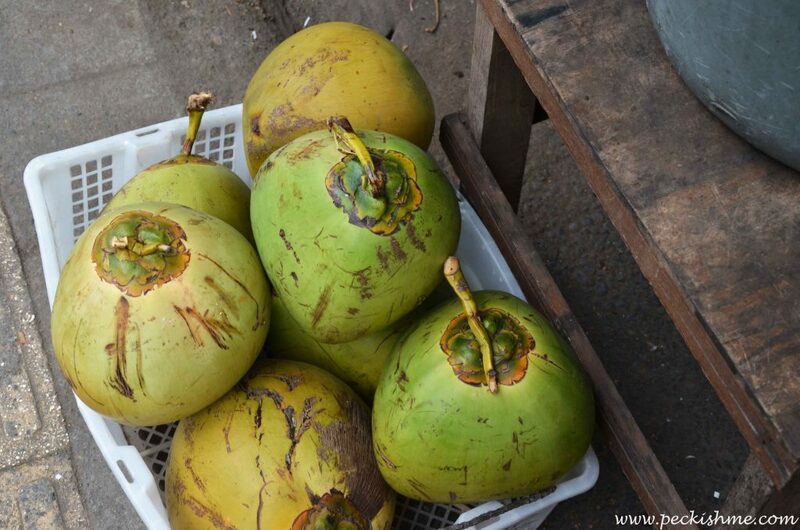 The tender young coconut is husked from the stem and pierced with a knife through which you can insert a straw and drink to your heart content. The water is sweet and cool and is the perfect respite from the tropical heat that tends to get to you as you go about sightseeing or shopping on this beautiful island. 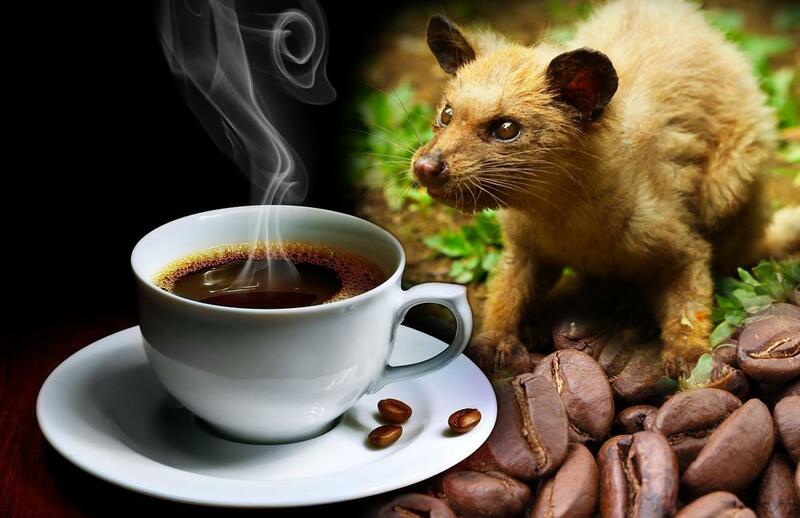 Known as the most expensive coffee in the world, Kopi Luwak or Civet Coffee is expensive because of the unusual way it is being produced. Processed and ground from coffee beans that have been part-digested by this cat-like animal called the civet cat, the coffee lacks a certain amount of bitterness that is characteristically present in coffee. This is due to the fact that during the time that the coffee bean is within the civet cat’s system, the bitterness of the coffee bean gets slightly broken down during the digestive process. Yes so basically, it’s cat poop coffee. Honestly speaking, I cannot see what the fuss is about. For me it tastes like slightly watery coffee and I cannot see anything glamorous about consuming cat poop. Some argue that Kopi Luwak is infinitely superior to regular coffee, solely due to the fact that the Civet cat knows how to pick the best coffee cherries and eat them, thereby producing a superior coffee bean in its feces. As true as this may have been in the olden days, now civet coffee is being produced in the most questionable ways. Intensive farming methods involve civets in battery cage systems being force fed coffee cherries after which their feces are collected and processed. This questionable method has raised many concerns among animal rights activists and rightly so. Although some coffee brands would even claim to be “wildly sourced”, fraud is rife in this industry and in any case, I wouldn’t support an industry where animals are forced to poop. 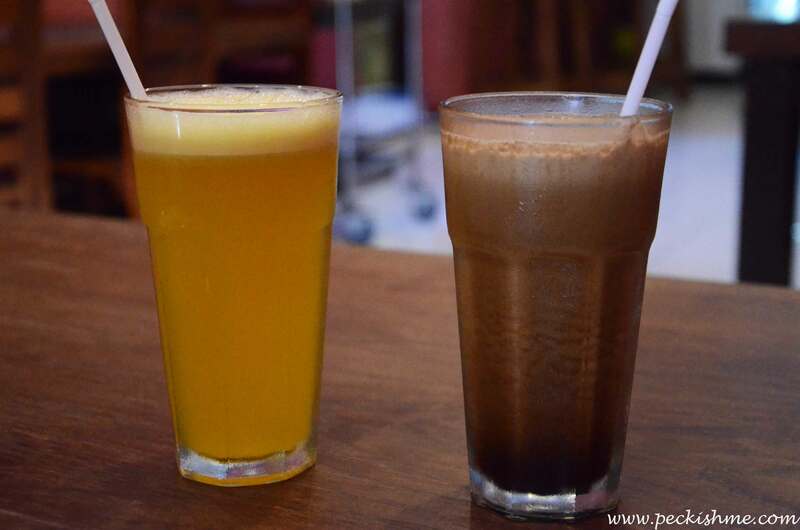 The iced coffee on the right. The other one is a local orange juice. We had this at a wayside warun. Unlike regular iced coffee, this iced coffee does not feature any dairy. It is basically sweetened black coffee with a hint of spices and a celebration of the coffee bean in its purest form. Indonesia is the world’s 3rd largest coffee producer and therefore they do know a thing or two about coffee. 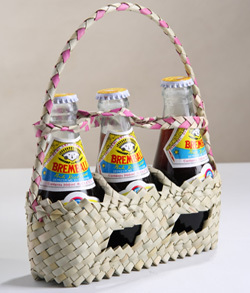 We secured a bottle of this at the Jakarta airport as we are heading home. 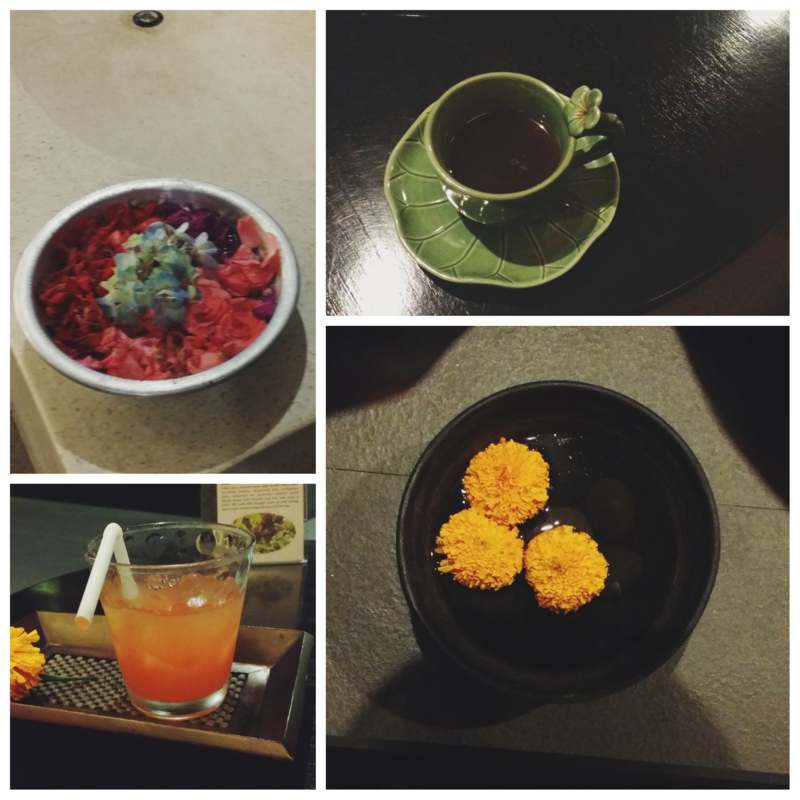 Balinese rice wine is just like any rice wine we have ever had. 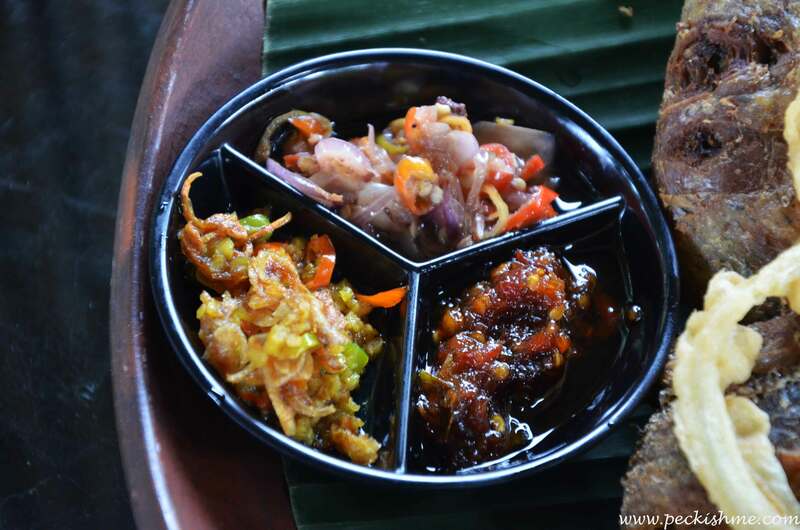 It is a traditional fermented food item that is however unique to Bali and we are glad that we had a taste of it. Dragon fruit, or Pitaya is big in Bali, although not any cheaper. 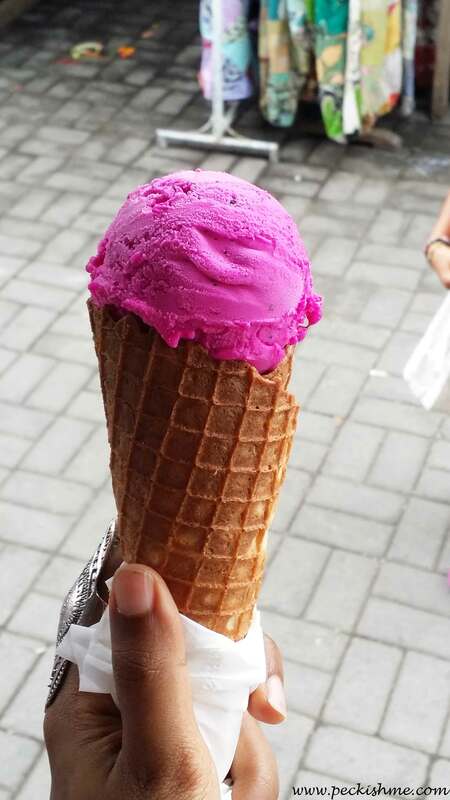 We tried this dragon fruit ice cream at the Ubud Art Market and was rather disappointed in its lack of taste. It doesn’t look very hard on the eyes though. We found this curious fruit being sold practically everywhere. 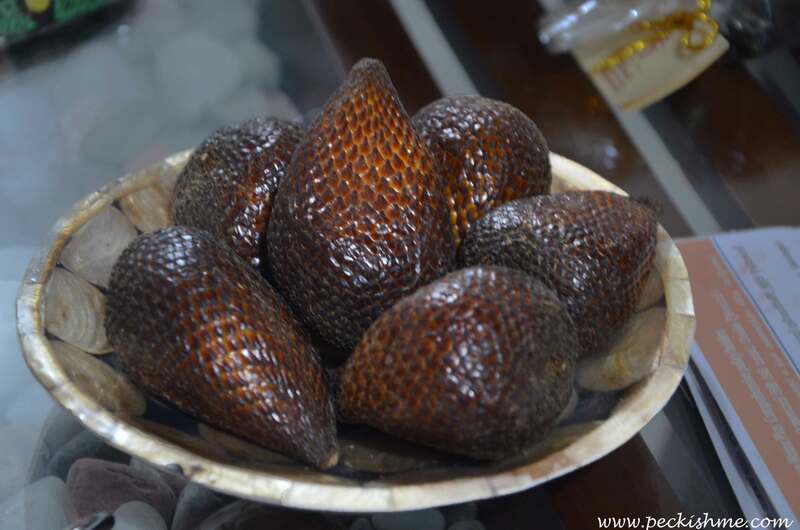 Known as Snakefruit due to the nature of its skin (scaly like a snake’s), it is known locally as salak and is native to Java and Sumatra in Indonesia. Slightly resembling a fig, one has to pinch the top of the fruit to peel away the brittle skin and then, the inner white pulp that comes in the form of two or three lobes can be consumed with the exception of its large stone. The texture can be something between moist and crunchy and dry and crumbly. I love spas. And when I say you need to come to Bali to have a Balinese massage, you have to believe me. I only had time for one Balinese massage during the trip and that I had at the Liang Spa at Watermark Hotel & Spa in Jimbaran where we stayed. I was served an iced tea made of some sort of medicinal flower (sorry I couldn’t catch the name of the flower as I was directly after 2 flights and therefore exhausted) after which I was escorted to a spacious spa room that smelled incredible. And then began my 1 and half hours of bliss. 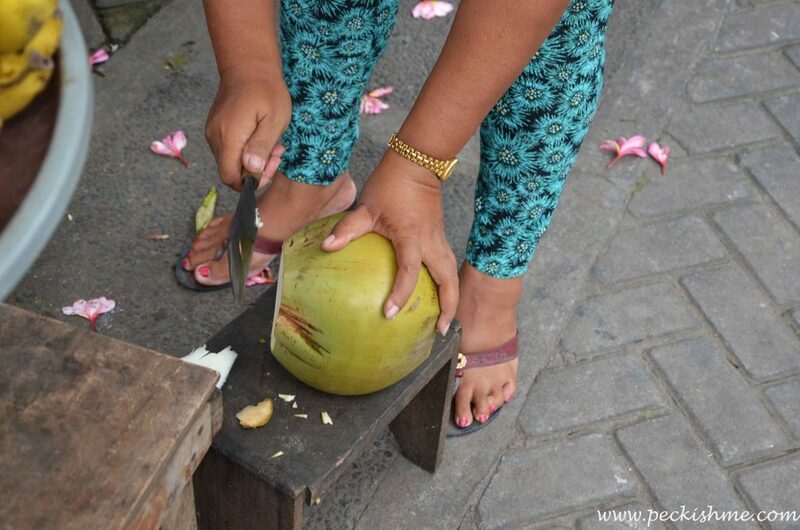 Let me tell you, while being warm, cordial and friendly, the Balinese locals KNOW how to make you feel relaxed. After the massage was done, despite the exhaustion of the day I was made to feel like I was floating on clouds. 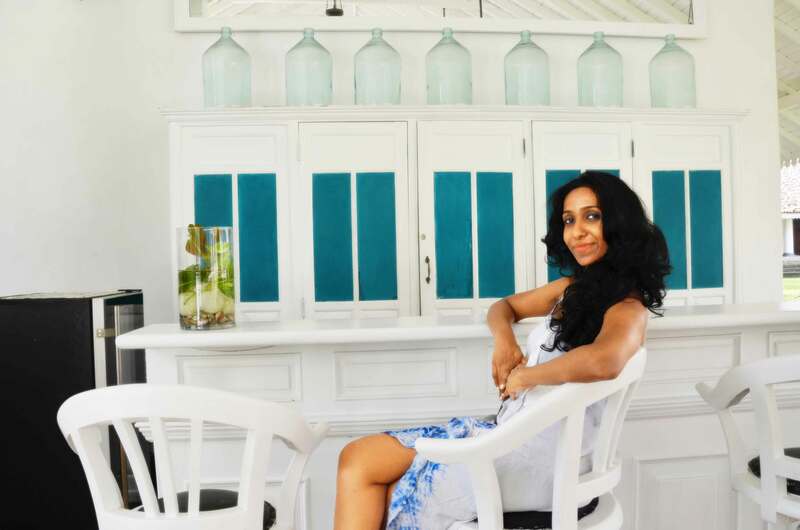 Come to Bali, even if it is just for the spa treatment. 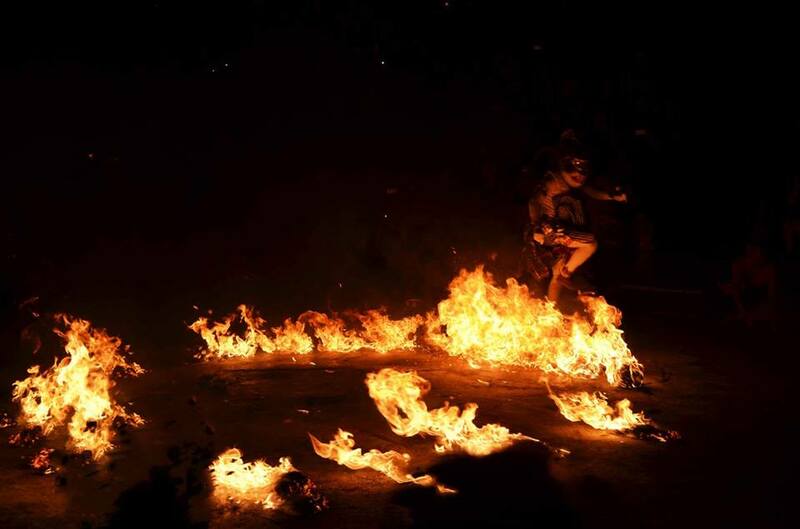 At around 30 – 60 USD, its way cheaper than any spa you will get back at home and infinitely better too. 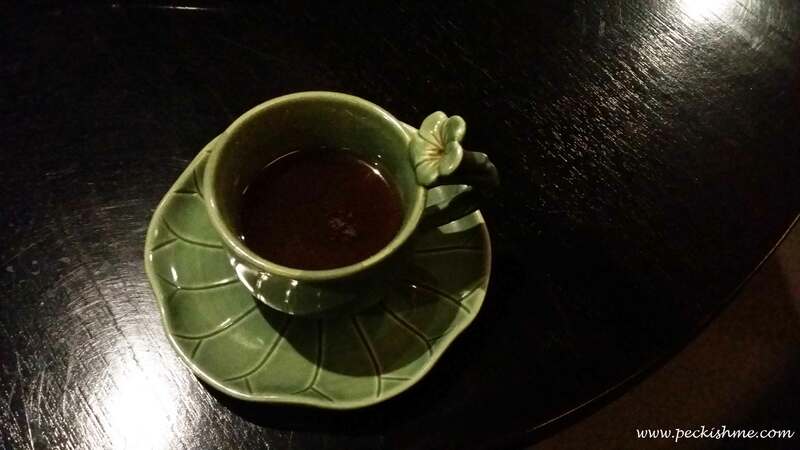 At the end of it all, they once again served me this divine tea, a hot concoction that smelled herbal sweetened by treacly palm sugar. This was undoubtedly the perfect ending to a perfectly blissful treatment that left me glowing from within. 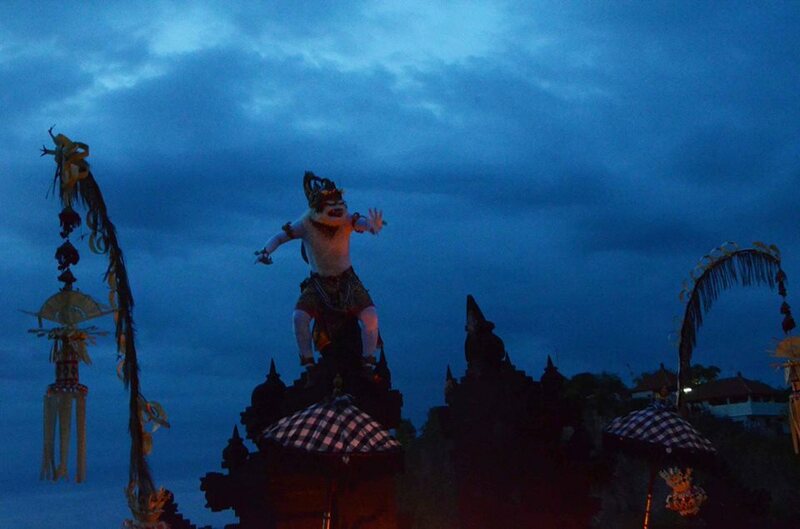 Bali is an experience – in order to fully experience it, I believe you should have at least a week to spend. But alas, us poor folk have to work for a living and therefore do not possess the luxury of long holidays and make do with what we can. On our next visit there (whenever that will be) we hope to do a more intense exploration of its food and culture. 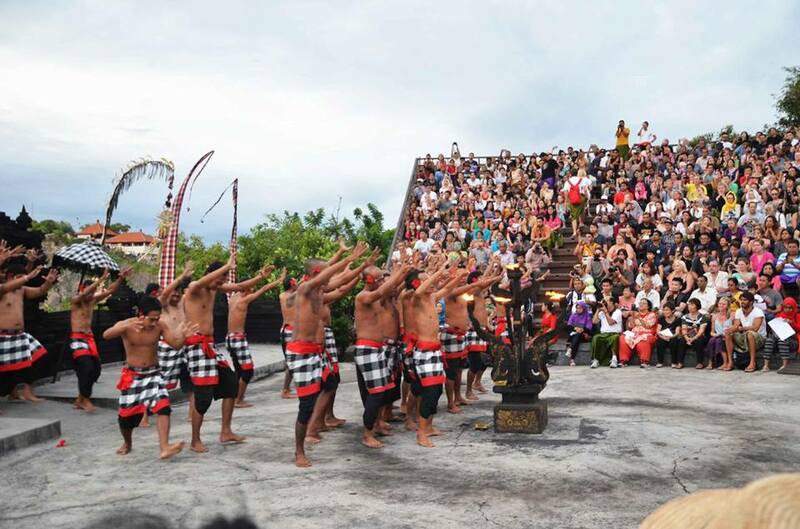 Until then, have a look at these pictures of the Kecak dance (think bare chested men and deranged monkeys acting out the factually wrong and highly biased story of Ramayana) that we very much enjoyed at the Uluwatu temple, on an arena next to the sea.